Context: Relining with heat cure denture base resin is time-consuming and the patient has to remain without dentures within this period. Recently, some autopolymerizing resins marketed as hard chairside reline systems with low exothermic heat allow the dentists to reline prosthesis directly in the mouth. 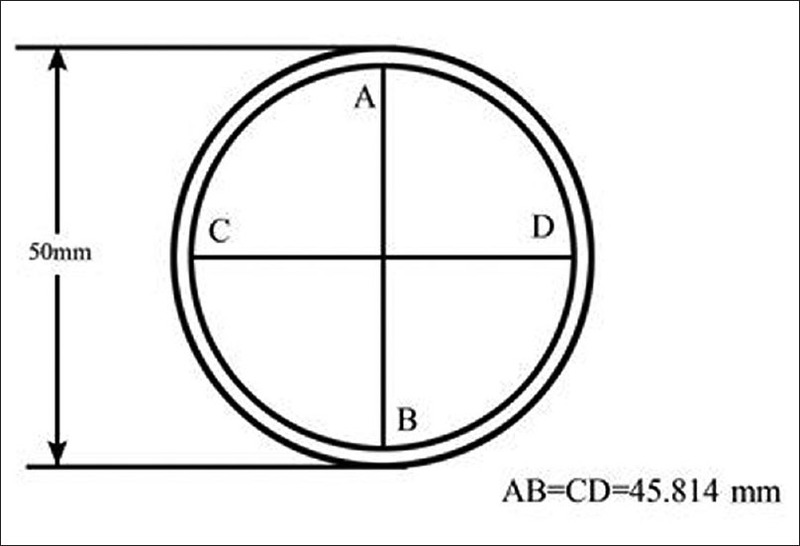 However, the decision to use these materials must be based on physical properties such as dimensional accuracy that directly influences the accuracy of fit of the denture base. Aim: The aim was to compare the linear dimensional changes of two hard chairside reline resins with two laboratory heat cure resins at 3 times intervals after processing. Settings and Design: A stainless steel split mold (International Organization for Standardization 1567) was used for sample fabrication. 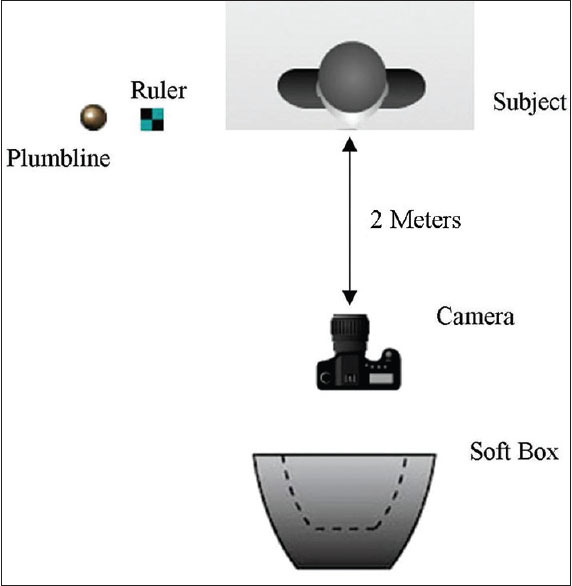 Five measurements of the reference dimensions (AB and CD) were measured directly from the mold and the samples with a profile projector, and mean difference were calculated. Subjects and Methods: Forty samples were fabricated by incorporating the split mold into first pour of denture flasks and packing each of the chairside reline resins ("Kooliner" and "Ufi Gel Hard") and laboratory heat cure resins ("Dental Products of India Heat Cure" and "Trevalon"). The mean difference in dimensional change at 3 times intervals (0 h, 4 days and 2 months) were calculated and subjected to statistical analysis. Statistical Analysis Used: One-way ANOVA, RMANOVA and post hoc Tukey's tests. Results: All resins showed different levels of significant shrinkage (P < 0.001) after processing (T 0 ) ranging from −0.128 to −0.310 mm. After 4 days (T 1 ), there was significant shrinkage (P < 0.001) ranging from −0.168 to −0.296 mm. After 2 months (T 2 ), there was again significant shrinkage (P < 0.001) ranging from −0.018 to −0.216 mm. Chairside reline resins showed less dimensional shrinkage at each time interval than the laboratory heat cure resins. Conclusions: Hard chairside resins are dimensionally accurate than the laboratory heat cure resins. Background: Mineral trioxide aggregate (MTA) fulfills many of the ideal properties of the root-end filling material. However, its low cohesive property often makes it difficult to handle. Biodentine, new calcium-silicate-based cement has been developed to improve some MTA drawbacks such as its difficult handling property and long-setting time. Aim: The objective of this study was to compare at different times the microleakage of roots filled with Biodentine and white MTA (WMTA)-Angelus and to investigate their setting time, handling properties and compressive strength. Materials and Methods: Root canals of single-rooted teeth were instrumented, filled with either Biodentine or WMTA-Angelus (n = 15 each) with two positive and two negative control roots and stored at 37°C. Sealing was assessed at 4, 24 h, 1, 2, 4, 8, and 12 weeks by a fluid filtration method. The initial setting time, handling properties, and compressive strength of the test groups were investigated by a vicat needle, questionnaire of operational hand feel, and universal instron machine, respectively. Results: Significant differences in microleakage were found between two groups at 4-h and 24 h (P < 0.05) and no difference at 1, 2, 4, 8, and 12 weeks. No significant difference was seen in the setting time of MTA-Angelus and Biodentine, though latter was found to have better handling consistency. Compressive strength of Biodentine was significantly higher than MTA-Angelus. Conclusions: The results suggest that the new calcium-silicate-based endodontic cement provides improvement in sealing ability as well as clinical manageability of dental filling materials. 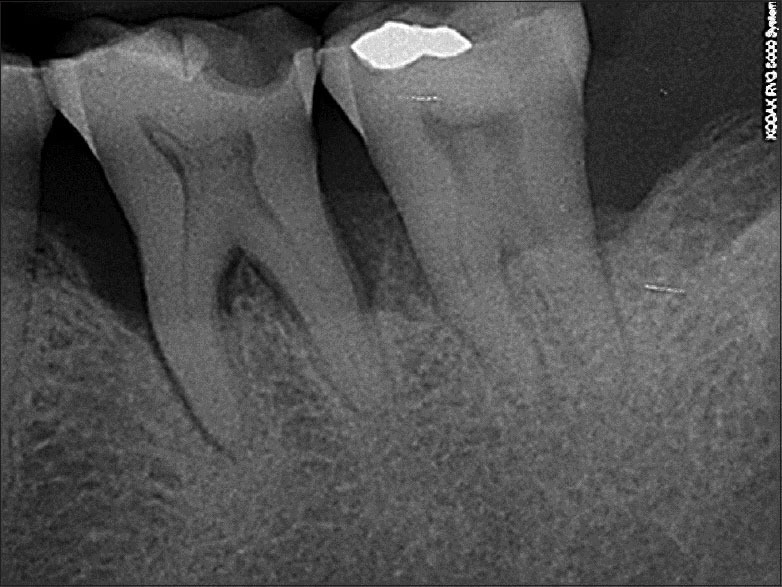 Introduction: The aim of this study was to evaluate the quality and bond strength of three root filling techniques (lateral compaction, continuous wave of condensation and Tagger's Hybrid technique [THT]) using micro-computed tomography (CT) images and push-out tests, respectively. Materials and Methods: Thirty mandibular incisors were prepared using the same protocol and randomly divided into three groups (n = 10): Lateral condensation technique (LCT), continuous wave of condensation technique (CWCT), and THT. All specimens were filled with Gutta-percha (GP) cones and AH Plus sealer. 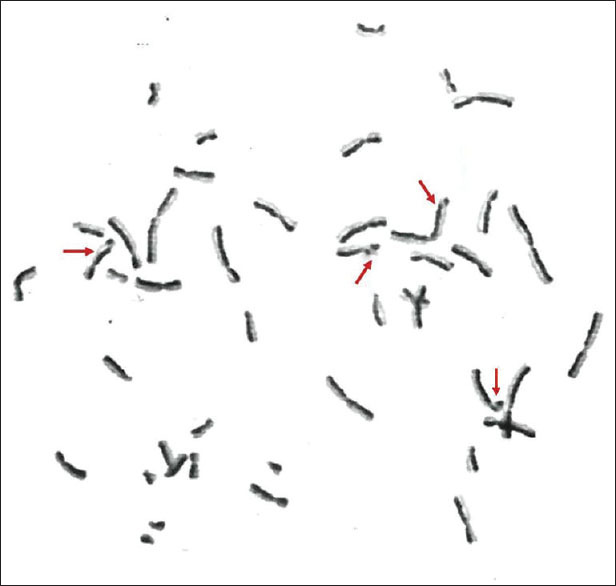 Five specimens of each group were randomly chosen for micro-CT analysis and all of them were sectioned into 1 mm slices and subjected to push-out tests. Results: Micro-CT analysis revealed less empty spaces when GP was heated within the root canals in CWCT and THT when compared to LCT. Push-out tests showed that LCT and THT had a significantly higher displacement resistance (P < 0.05) when compared to the CWCT. Bond strength was lower in apical and middle thirds than in the coronal thirds. Conclusions: It can be concluded that LCT and THT were associated with higher bond strengths to intraradicular dentine than CWCT. However, LCT was associated with more empty voids than the other techniques. 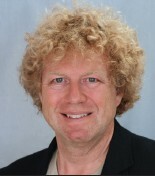 Aim: To evaluate the performance of a pen‑type laser fluorescence device (DIAGNOdent 2190; LFpen, KaVo, Germany) and bitewing radiographs (BW) for approximal caries detection in permanent and primary teeth. Materials and Methods: A total of 246 anterior approximal surfaces (102 permanent and 144 primary) were selected. Contact points were simulated using sound teeth. Two examiners assessed all approximal surfaces using LFpen and BW. The teeth were histologically assessed for the reference standard. 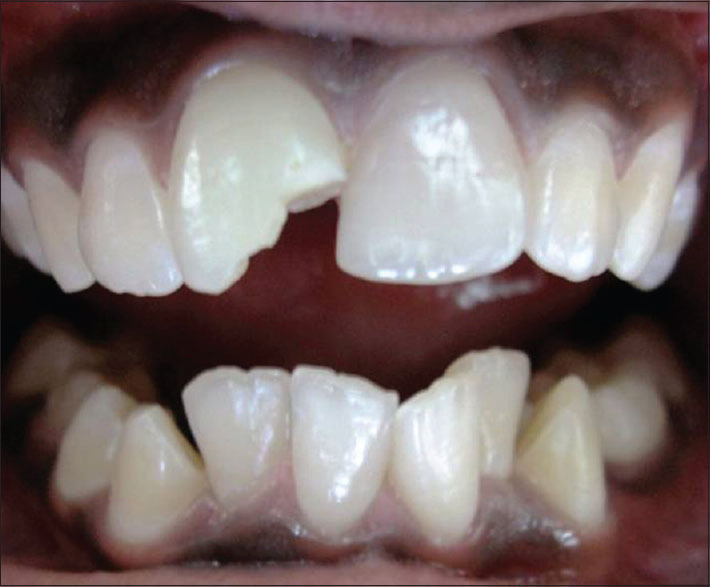 Optimal cut‑off limits were calculated for LFpen for primary and permanent teeth. Sensitivity, specificity, accuracy and area under the receiver operating characteristic curve (Az) were calculated for D1 (enamel and dentin lesions) and D3 (dentin lesions) thresholds. The reproducibility was assessed by intraclass correlation coefficient (ICC) and Cohen's weighted kappa values. Results: For permanent teeth, the LFpen cut‑off were 0– 27 (sound), 28– 33 (enamel caries) and >33 (dentin caries). For primary teeth, the LFpen cut‑off were 0– 7 (sound), 8– 32 (enamelcaries) and >32 (dentin caries). The LFpen presented higher sensitivity values than BW for primary teeth (0.58 vs. 0.32 at D1 and 0.80 vs. 0.47 at D3) and permanent teeth (0.80 vs. 0.57 at D1 and 0.94 vs. 0.51 at D3). Specificity did not show a significant difference between the methods. Rank correlations with histology were 0.59 and 0.83 (LFpen) and 0.36 and 0.70 (BW) for primary and permanent teeth, respectively, considering all lesions. ICC values for LFpen were 0.71 (inter) and 0.86 (intra) for permanent teeth and 0.94 (inter) and 0.90/0.99 for primary teeth. Kappa values for BW were 0.69 (inter) and 0.68/0.90 (intra) for permanent teeth and 0.64 (inter) and 0.89/0.89 for primary teeth. Conclusion: LFpen presented better reproducibility for primary and permanent teeth and higher accuracy in detecting caries lesions at D1 threshold than BW for permanent teeth. LFpen should be used as an adjunct method for approximal caries detection. Background: Oral lichen planus (OLP) is a chronic inflammatory disease of the oral mucosa with treatment challenges for clinicians. Aims: The objective of this study is to compare the effects of cryotherapy as a new modality with topical corticosteroids as a conventional therapy in the treatment of OLP. 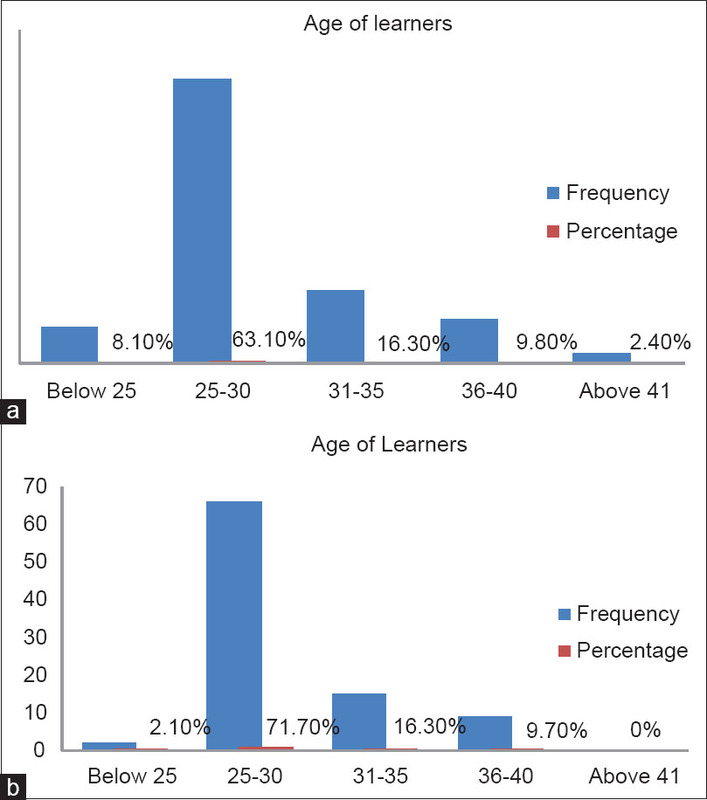 Materials and Methods: Thirty patients with bilateral OLP lesions were selected. From each patient a lesion on one side was chosen randomly for a single session of cryotherapy with nitrous oxide gas and the lesion on the other side received triamcinolone acetonide 0.1% ointment in orabase. Treatment outcome was measured by means of an appearance score, pain score (visual analogue scale), and severity of lesions before treatment and after 2, 4 and 6 weeks of treatment. Statistical Analysis Used: Paired samples t-test and Wilcoxon test. Results: In both methods of treatment sign score, pain score and severity of lesions was significantly reduced in all follow-up sessions (P < 0.05). But the treatment outcome and relapse was not significantly different between the two treatment methods (P > 0.05). Conclusion: Cryotherapy with nitrous oxide gas is as effective as topical triamcinolone acetonide in the treatment of OLP with no systemic side effects and needs less patient compliance. It can be considered as an alternative or adjuvant therapy in OLP patients to reduce the use of treatments with adverse effects. Background and Aim: The aim of the present study is to compare the effect of corticotomy versus prostaglandin E1 injection in human subjects on rate of tooth movement, anchorage loss and their effect on crest bone height and root length. Settings and Design: Clinical interventional study. Split mouth design was used. Materials and Methods: Study was done on 32 regular orthodontic patients. A volume of 100 mcg of prostaglandin E1 was injected on the right side once in 2 weeks and on the left side corticotomy was performed, and canine retraction was started on both sides simultaneously. The rate of space closure and anchorage loss was assessed with casts. The root length and crestal bone height changes were assed with IOPAs. The comparison of rate of tooth movement, anchorage loss, crestal bone height and root length changes between the sides were statistically analyzed using paired t-test. Results: The average rate of space closure on right side was 0.36 mm/week with a standard deviation of 0.05 mm/week and on the left side average rate of space closure was 0.40 mm/week with a standard deviation of 0.04 mm/week. The difference between the rate of closure between the right side and left where found to be statistically significant (P = 0.003). The anchorage loss, the crestal bone height changes and root length changes were not statistically significant. Conclusion: The rate of tooth movement was significantly more with corticotomies when compared with given dose of prostaglandin injection. Introduction: Multiple treatment protocols are available to the Indian endodontist. Hence a survey is required to recognize the common trends in endodontics and set a basic standard of treatment. Aims and Objectives: The aim of this article is to present practice trends among Indian endodontists and compare the same with established practice trends internationally through various surveys that have been conducted respectively. Materials and Methods: Questionnaires were mailed to 1085 endodontists in dental schools and private practice in India. A response rate of 42% was observed. The data was analyzed and compared with other studies. Results: Most of the endodontists in India follow the basic protocols and techniques in their practices. 40% of the Endodontists preferred digital radiography technique. 2.5% NaOCl is the most preferred irrigant of choice for primary root canal treatment and 2% chlorhexidine in retreatment cases. Calcium hydroxide was the most preferred intracanal medicament in all clinical situations. Lateral compaction (70.8%) was the most widely used method. AH Plus was the most preferred root canal sealer (46.6%). Conclusion: Indian endodontists are following the basic protocol but when compared to other studies there were concepts like, the use of rubber dam and microscope which need to be improved and raised to a level that ensures international standards in clinical practice. Background: Streptococcus mutans is one of the most common cariogenic microorganisms. Use of natural anticariogenic agents, such as Xylitol has been well-established in the literature. On the other hand, there is a scarcity of studies that have reported the antimicrobial potential of Propolis as an anticariogenic chewing agent; hence, the present study was designed. Aims: To evaluate and compare the anticariogenic action of two commercial chewing gums Propolis and Xylitol on the salivary S. mutans count in a group of children from Bengaluru city. Settings and Design: Clinical setting and experimental design. Materials and Methods: Thirty healthy children aged 8-11 years with decayed, missing, and filled teeth (dmft)/DMFT index score ≥3 were included in the study. Before the test, unstimulated saliva was collected. Children divided into Group I and II were given Propolis and Xylitol chewing gums respectively; to chew for 15 min. Saliva samples were then collected at 15 min (just after spitting) and after 1 h. The amount of S. mutans in saliva was evaluated using a selective media (MSAB). In addition, compliance of the two chewing gums among the children was tested with a questionnaire. Statistical Analysis Used: Student's t-test. Results: Six samples out of 30 were excluded due to no growth. The total number of bacterial colonies was significantly reduced when compared to baseline in both the groups. Propolis gum showed statistically significant reduction in the number of colonies as compared to Xylitol. Xylitol gum was more preferred than Propolis gum by the children. Conclusions: Propolis chewing gum can be used as an anticariogenic agent in children. Context: Periodontal disease (PD) is a common infection in the community; however, its relationship with low birth weight (LBW) has not been well-established. Aims: The aim was to determine the association between maternal PD and LBW. Settings and Design: A case-control (1:1) study. Materials and Methods: The study population comprised of women who delivered at the hospital during the study period (September 2011 to February 2012).Women between 18 and 35 years of age, who delivered singleton, live infants during study period with at least 18 teeth were enrolled. Those with pregnancy induced hypertension, gestational diabetes, blood-borne viral infections, periodontal treatment within the past 6 months and valvular heart disease were excluded. Control population was parity matched to the cases. Statistical Analysis Used: Chi-square test, t-test and univariant and multivariant logistic regression were used to analyze various study findings, and level of significance was set at 5% (P < 0.05). Results: PD was independently associated with LBW (odds ratio: 4.94, 95% confidence interval: 1.03-23.65, P=0.045). Additionally, conventional risk factors such as maternal height (P=0.029), secondary schooling (<8 years of schooling) (P = 0.001), socio-economic status (P = 0.046), type of family (joint) (P = 0.008), number of ante-natal visits (P = 0.028) and gestational age at birth (<37 weeks) (P = 0.045) showed significant association with LBW. Conclusions: There seems to be an association between PD and LBW independent of conventional risk factors. Women who had PD were 5 times more likely to deliver LBW infants. 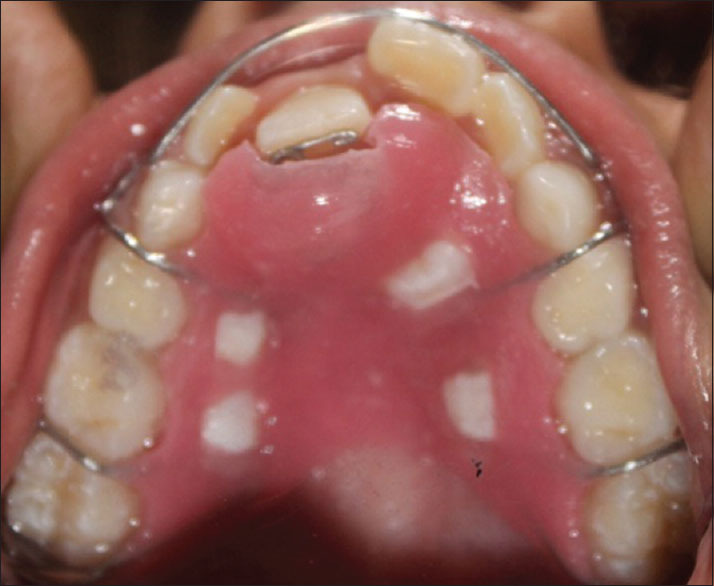 Background: To assess the efficiency and treatment outcome of patients treated with corticotomy-assisted en-masse orthodontic retraction as compared with the en-masse retraction without corticotomy. 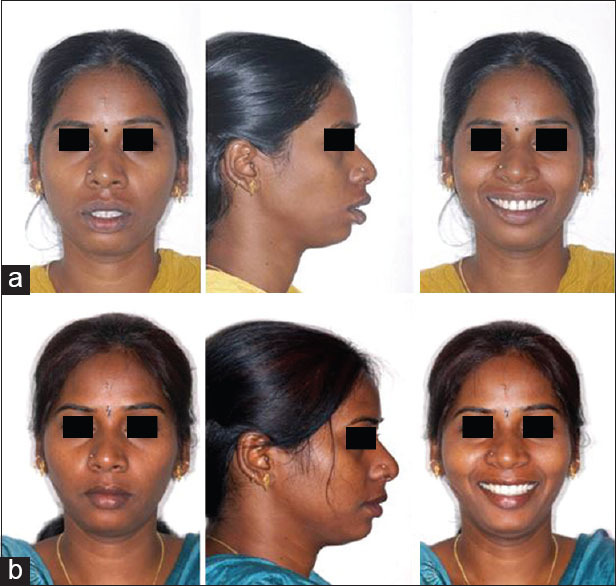 Materials and Methods: Forty adult patients with bimaxillary protrusion requiring correction of bidental proclination constituted the sample. 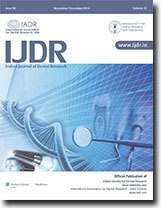 The study group consisted of 22 patients (male 11, female 11) willing to undergo surgery to reduce the duration of their orthodontic treatment and 18 patients (male 9, female 9) desirous of undergoing conventional orthodontic treatment without surgical intervention constituted the control group. Comparison of rate of retraction and anchor loss between the study and the control group was assessed. Results: Average rate of space closure of 1.8 mm/month in the maxilla and 1.57 mm/month in the mandible was observed in the study group compared to 1.02 mm/month in the maxilla and 0.87 mm/month in the mandible in the control group. The rate of retraction accelerated during the first 2 months of retraction. Molar anchor loss of approximately 0.6 mm occurred in the study group, and 1.8 mm occurred in the control group during the 4 months. Conclusion: The rate of retraction with study group was twice as faster when compared to the control group, accelerating during the first 2 months of retraction. There was better anchorage control with the undecorticated molar segment during the retraction period but was found to increase as time advanced. Background: Adhesive cementation is essential for the longevity of indirect esthetic restorations. However, polymerization shrinkage of resin cement generates stress, which may cause failures in the tooth-restoration interface. So, understanding of the biomechanics of resin cement is important for predicting the clinical behavior of an esthetic indirect restoration. Aims: To analyze the stresses generated during polymerization shrinkage of self-curing resin cement in ceramic and in indirect resin (IR) restorations, using the finite-element method (FEM). Settings and Design: Numerical study using the finite-element analysis. Materials and Methods: A three-dimensional (3D) model of a second molar restored with ceramic or IR onlay restoration was designed. The polymerization shrinkage of self-curing resin cement was simulated in FEM software using an analogy between the thermal stress and the resulting contraction of the resin cement. 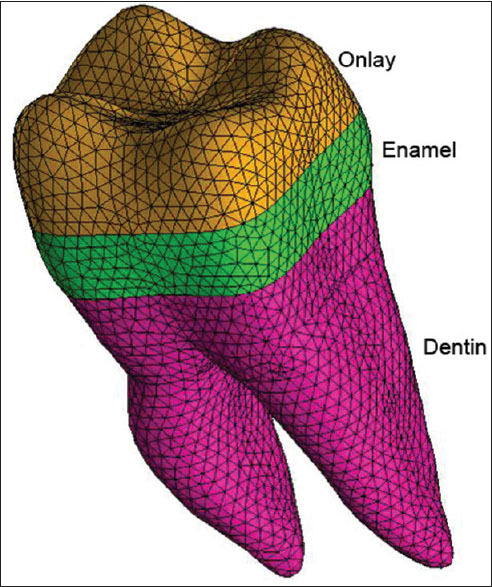 The localization and values of tensile stresses in the dental structure, cement, and adhesive layer were identified. Results: The location and value of the tensile stresses were similar for the two restorative materials. 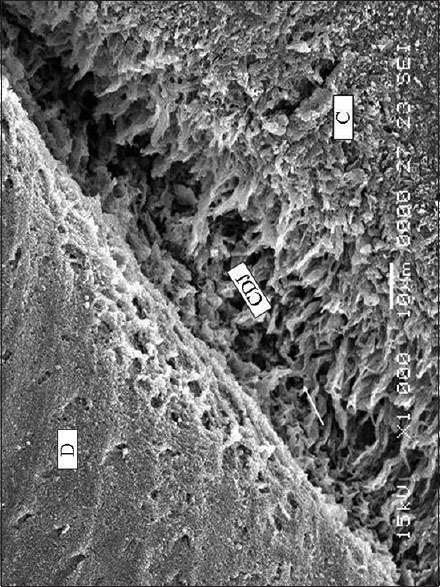 High tensile stresses were identified in the axiopulpal wall and angles of the tooth preparation, with the major stresses found in the cement located in the axiopulpal wall. Conclusions: The high stresses values and their concentration in the angles of the prepared tooth emphasize the importance of round angles and the use of cements with lower rates of shrinkage. Introduction: The cemento-dentinal junction (CDJ) is a structural and biologic link between cementum and dentin present in the roots of teeth. Conflicting reports about the origin, structure and composition of this layer are present in literature. The width of this junctional tissue is reported to be about 2-4 μm with adhesion of cementum and dentin by proteoglycans and by collagen fiber intermingling. Aim and Objective: The objective of this study is to observe and report the fibrous architecture of the CDJ of healthy tooth roots. Materials and Methods: A total of 15 healthy teeth samples were collected, sectioned into halves, demineralized in 5% ethylenediaminetetraacetic acid, processed using NaOH maceration technique and observed under a scanning electron microscope. Results: The CDJ appeared to be a fibril poor groove with a width of 2-4 µm. Few areas of collagen fiber intermingling could be appreciated. A detailed observation of these tissues has been presented. Background: The alterations involved in step-wise transformation of a dental follicle to dentigerous cyst (DC) is not clearly known. Primary cilium and its protein have been hypothesized to be associated with DC. Mutation of a ciliary protein, polycystin-1 (PC1) is associated with autosomal dominant polycystic kidney disease. This study was performed to assess the immunohistochemical expression of PC1 between DC and postfunctional follicular tissue (PFFT). Materials and Methods: Thirty-one consecutive PFFT and 15 DC formed the study group. The PFFT and DC tissues were stained with antibody against PC1. Statistical Package for Social Service was used to analyze data. Descriptive statistics and Student's Chi-square test were appropriately used. P ≤0.05 was taken as significant. Results: Fifteen DC (100%) and 7 (22.58%) PFFT were positive for PC1. The difference was statistically significant (P = 0.000). PC1 expression was observed in the cytoplasm with varying intensity. Discussion and Conclusion: All PC1 positive epithelial cells' cytoplasm stained diffusely. Abnormal cytoplasmic expression of PC1 in all positive epithelial lining indicates that the PC1 probably is associated with cystic transformation. Context: Ergonomics is the scientific study of people and their work. The manufacturers typically do not design to accommodate the dimensions of the individual user. Work-related musculoskeletal disorders (MSDs) have emerged as major health problem among workers in both industrialized and industrially developing countries. Rapid Upper Limb Assessment (RULA) was developed to investigate the exposure of the individual workers to risk factors associated with work-related upper limb disorders. Aims: The assessment of the posture using RULA, which is quick reliable tool to determine the posture, has not been done in the Indian dentist population, indicating the need for the same. Settings and Design: A total of 104 subjects were included from New Delhi/NCR. Subjects and Methods: The procedure was explained, and the questionnaire was distributed and assessment was done using RULA. The MSDs can be recorded using the standard Nordic questionnaire. Statistical Analysis Used: The data were collected from 104 subjects out of the 192 evaluated and was statistically analyzed using SPSS software. Results: The study sample included 70 male and 34 female dentists. The posture of the subjects and the MSDs are not associated with a significant difference as according to Pearson's Chi-square test (0.231). Conclusions: RULA can be used as a screening tool for postural risks following a short training session regardless of the assessor's experience in postural risk assessments. Study Background: Dental amalgam is still widely used as a restorative material in developing countries due to its low cost and ease of manipulation. The health risks associated with the components of this restorative material has always been a matter of concern. Our study was designed to address this question regarding dental amalgam. Objective: To study sister chromatid exchange (SCE) as an indicator of systemic genotoxicity, due to the exposure from the components of amalgam restorations during its placement and chronic use. 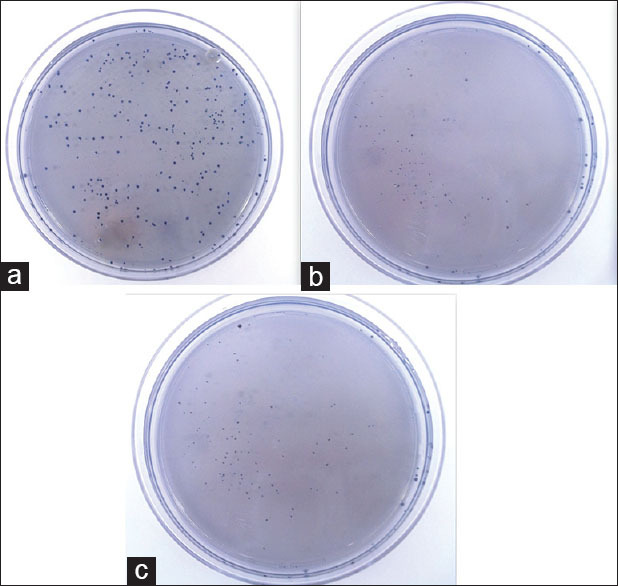 Materials and Methods: Systemic genotoxicity in subjects exposed to amalgam during its placement (Group II; n = 5) and subjects with chronic exposure to amalgam (Group III; n = 5) were compared with controls (Group I; n = 5) by SCE assay in cultured peripheral blood lymphocytes. Result: Subjects exposed to amalgam during its placement and subjects having chronic exposure to amalgam showed an increase in the frequency of SCE, but the change was not statistically significant (P = 0.84, P = 0.123 respectively). Conclusion: Systemic genotoxicity was not observed due to the components of amalgam restorations released during its placement and chronic use. The findings of this study can be considered as preliminary information on the systemic toxicity due to the components of amalgam restorations. Context: Remineralization is defined as the process whereby calcium and phosphate ions are supplied from a source external to tooth to promote ion deposition into crystal voids in demineralized enamel to produce net mineral gain. The remineralization produced by saliva is less and also a slow process, therefore remineralizing agents are required. Aims: The study was planned to evaluate the effectiveness of homeopathic Calcarea Fluorica (calc-f) tablets as remineralizing agents on artificial carious lesions using scanning electron microscope (SEM) and surface microhardness (SMH) testing. Subjects and Methods: A total of 24 patients needing removable orthodontic treatment were included in the study. They were divided into two groups of 12 patients each. The Group I consisted of patients in whom no tablets were given while Group II consisted of patients in whom calc-f tablets were given in a dosage of 4 tablets twice a day. Four enamel samples with the artificial carious lesions were then embedded in the removable appliance for a period of 6 weeks. After 6 weeks, the enamel samples were retrieved and evaluated by SEM and SMH. Statistical Analysis Used: One-sample Kolmogorov-Smirnov test and Student's t-test were applied to analyze the difference in the Vickers microhardness number (VHN) values of remineralized enamel obtained from control and experimental group. Results: The signs of remineralization such as reduction in depth prismatic holes or decrease in porosity, variable sized uneven distribution of deposits and amorphous deposits were seen in enamel samples of both the groups. The mean SMH of remineralized enamel sample of Group I and Group II were 270.48 and 302.06, respectively, and the difference was statistically significant. Conclusions: (1) Remineralization occurred in both the groups as indicated by SEM and the increase in surface hardness values in both the groups. (2) Remineralization of enamel samples in the control group as indicated by SEM and also by increase in VHN values indicated that the saliva has a tendency of remineralizing the early carious lesions. Conclusions drawn from the study are that the calc-f tablets can be used as safe and cost effective remineralizing agent. Aim: To compare the diagnostic values of radiovisiograph (RVG) and computed tomography (CT) images in comparison with direct surgical measurements for the determination of periodontal bone loss. 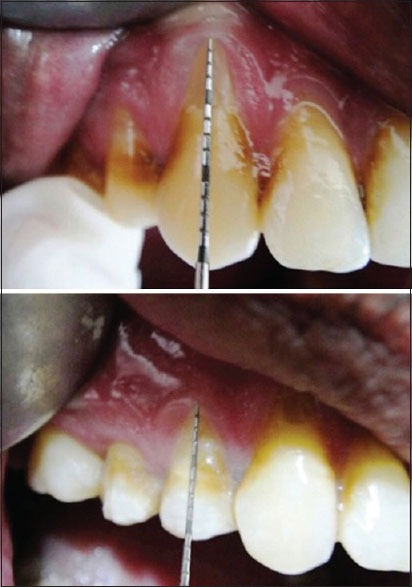 Materials and Methods: Thirty-one vertical defects were included for direct measurements during surgery with a periodontal probe. 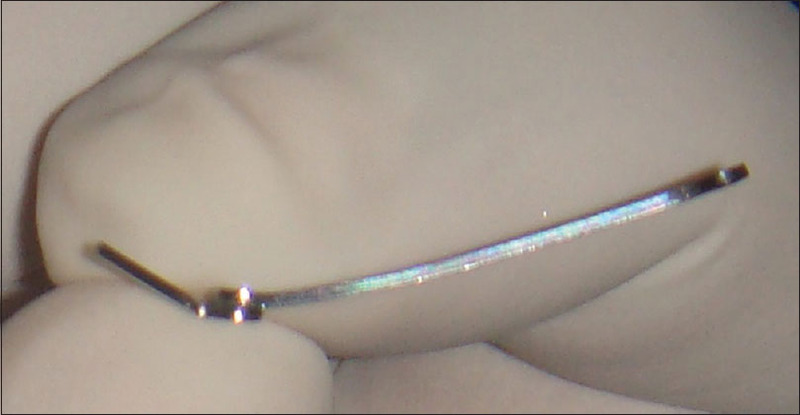 RVG and CT images were taken prior to the surgery. 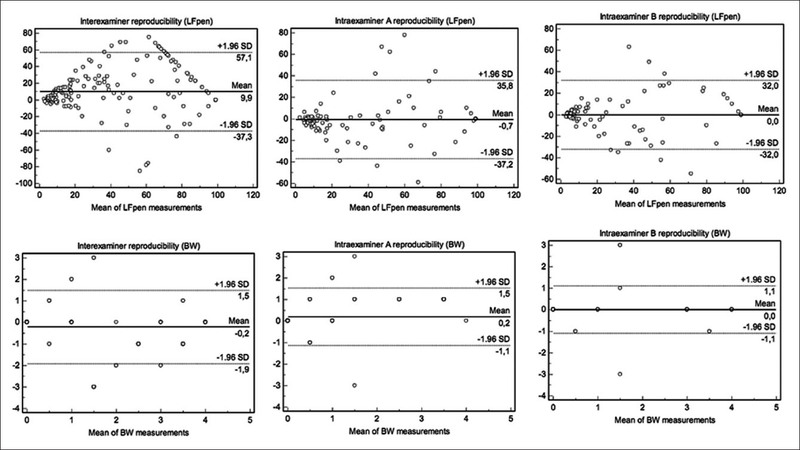 Similar measurements were done on their images and compared with the direct surgical values. Results: Mean difference (in mm) of RVG and CT scan in vertical defects, and intrabony component was 0.814, 0.474 and 0.073, 0.066 respectively. Intra class correlation of CT scan (0.997 and 0.990) was highest with the smallest length of 95% confidence interval. CT scan furthermore depicted maximum agreement with the surgical value. CT scan overestimated in the maximum percentage of sites in vertical defects. CT scan outscored over RVG in evaluation of the osseous defects. Conclusions: CT scan demonstrated more precise and clinically useful images of the osseous defects closer to the gold standard. Objective: In recent years, the golden proportions have been evaluated by various researchers in the general population and orthodontic patients to establish their correlation with facial attractiveness and esthetics, but with conflicting results. The present study aimed to analyze the frontal facial golden proportions for three groups of young adult females, an attractive group, and two malocclusion groups. Our null hypothesis stated that the golden proportions of attractive females were analogous with or closer to the golden number than those with an established malocclusion. Materials and Methods: Frontal facial photographs of 80 female dental students were scored for facial attractiveness by 10 dental specialists. Thirty females with scores greater than the median score of 48 formed the attractive group. Thirteen females with Class I malocclusion and 15 females with Class II division 1 malocclusion formed the two malocclusion groups. Ten landmarks and 19 golden proportions were calculated for all subjects. 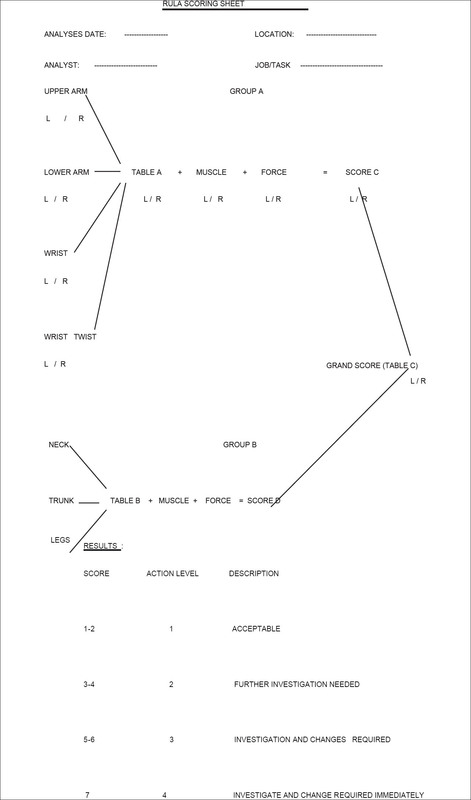 One-way ANOVA and unpaired Student's t-test was used to analyze the differences in golden proportions between the attractive and malocclusion groups. Results: Significant differences were observed for 10 proportions (P < 0.04 to < 0.0001). Five vertical proportions showed significant differences in both subgroups; Attractive versus Class I and Attractive versus Class II division 1; while one vertical and all transverse proportions showed significant differences only in Attractive versus Class II division 1 subgroup. The average values of these proportions varied both toward and away from the golden number for both attractive and malocclusion groups. Conclusion: Facial proportions of the attractive females were significantly different from those with malocclusion, but did not show a constant trend of being closer to the golden number. Furthermore, the golden proportions were not analogous with the facial esthetics of the attractive females. Background: Periodontal diseases are the most common bacterial infection predominantly associated with Gram-negative microorganisms that exist in the subgingival biofilm. Analysis of saliva provides a noninvasive means of evaluating the role of the host response in periodontal disease. Though salivary enzymes can be used as the biomarkers, neopterin has been recently used as one of the important diagnostic tools in the field of periodontics. Hence, we aimed to identify the neopterin levels in unsimulated saliva from the chronic periodontitis patients and compare them with the periodontally healthy subjects. Materials and Methods: Twenty subjects participated in the study and were categorized as the experimental group (chronic periodontitis patients) and control groups (healthy subjects). Unstimulated saliva samples were collected from both the groups for neopterin estimation. Neopterin in saliva was estimated using Shimadzu High Performance Liquid Chromatography with LC-20AD pump system, equipped with RF-10 AXL fluorescence detector. Statistical Analysis Used: Data were expressed as mean ± SD and analyzed using GraphPad Prism version 6.0 (California, USA). Statistical analysis was done by Student's t-test Results: The neopterin level in unstimulated saliva was found to be higher in the experimental group than the control group with P ≤ 0.05. Conclusions: The chronic periodontitis patients showed higher neopterin level in unstimulated saliva as compared to control. Hence, neopterin can be used as a potential biomarker for identification of the periodontal disease in its initial stage can help in preventing the disease progression. Background: Oral squamous cell carcinoma (OSCC) is a common cancer world-wide that is highly lethal due to its recurrence and metastasis. Methylation is a common epigenetic mechanism that leads to gene silencing in tumors and could be a useful biomarker in OSCC. The prevalence of P16, death-associated protein kinase (DAPK) and O 6 -methylguanine-DNA-methyltransferase (MGMT) promoter hypermethylation in OSCC has been evaluated for several years while the results remain controversial. Objective: The aim of this systematic review is to critically analyze and perform a meta-analysis on the various studies in the literature that have reported the promoter hypermethylation of P16, DAPK and MGMT genes in OSCC. 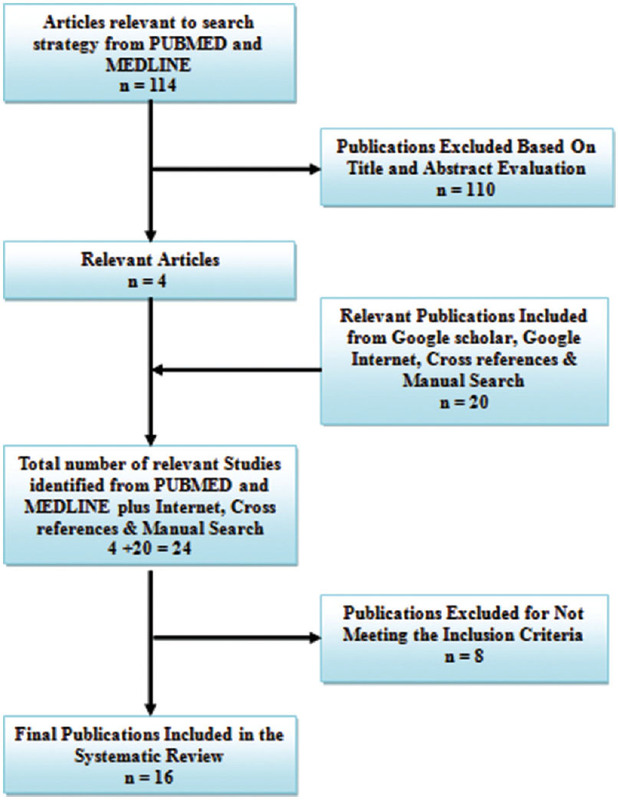 Search Strategy: Articles were searched and selected through PubMed. Hand search from the relevant journals was also performed. Articles were reviewed and analyzed. Results: The estimated prevalence of P16 methylation was 43%, DAPK methylation was 39.7% and MGMT methylation was 39.8%. Heterogeneity in methylation prevalences and correlations with the clinical outcomes of the disease prevailed in various studies. Conclusion: We can conclude from our systematic review that a higher prevalence of methylation of P16, DAPK and MGMT occur in OSCC. Further studies are required to substantiate the role of methylation of P16, DAPK and MGMT as a marker in OSCC. Congenital epulis (CE) or "Granular cell epulis" also previously termed as "Neumann's tumor" is a benign growth arising from the mucosa of the gingiva, typically seen as a mass protruding from the infant's mouth, often interfering with respiration and feeding. These tumors generally present as a single mass arising from the upper alveolus. 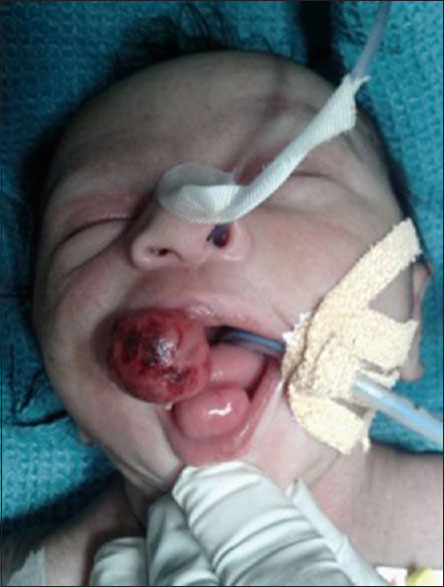 We report a rare case of two congenital epulides arising from the maxillary and mandibular alveolus in a day old female infant, which was surgically excised, allowing for early initiation of breast feeding. The tumor cells stained negative for S100 protein hence differentiating from other granular cell tumors. The clinical presentation, differential diagnosis in regard to the various neonatal oral swellings and the management of CE has been discussed. The absence of a natural apical constriction in a nonvital young permanent tooth makes endodontic treatment a challenge. There is a need to induce or create an apical barrier against, which the obturating material can be condensed. Traditionally, calcium hydroxide is the material of choice to induce apexification. Due to certain drawbacks such as prolonged treatment duration and unpredictable apical barrier formation, it is being replaced by materials, which have a more predictable outcome like mineral trioxide aggregate (MTA). One-step apexification with MTA reduces the treatment time when compared with traditional calcium hydroxide apexification, which requires an average time of 12-19 months. 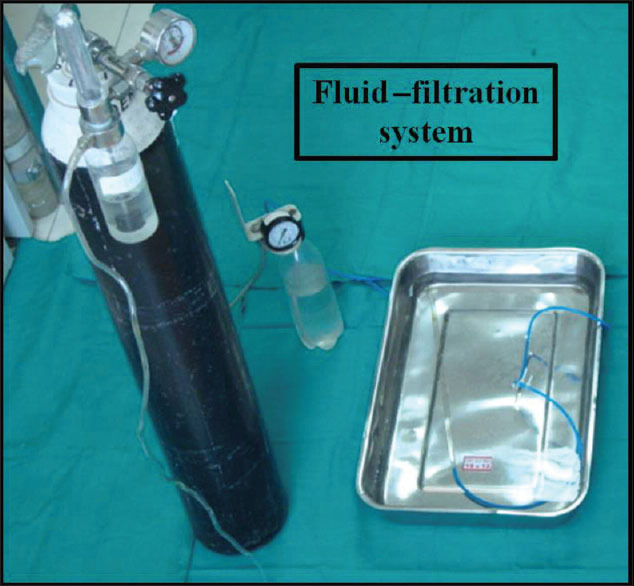 In one-step apexification using MTA, the technical problem encountered is controlling the overfill or underfill of MTA. The use of a matrix material helps to overcome this shortcoming. Platelet rich fibrin (PRF) is an immune platelet concentrate, which can be used as a matrix, it also promotes wound healing and repair. 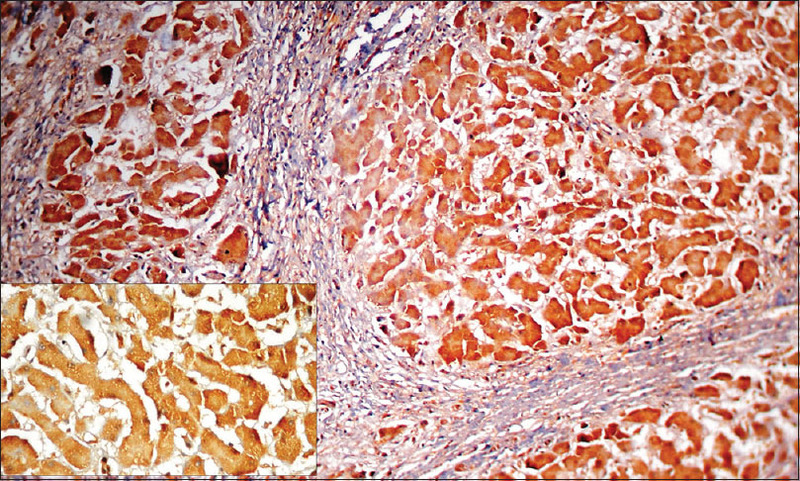 This case report presents a case of one step apexification using MTA as an apical barrier and autologous PRF as an internal matrix. Intramuscular hemangiomas are rare benign neoplasms accounting for <1% of all hemangiomas and <20% are found in head and neck area. The muscle most frequently involved is the masseter muscle and very few cases have been reported for the occurrence of these hemangiomas in the buccinator muscle. Here, we are presenting a case report of intramuscular hemangioma occurring in the buccinator muscle in a 22-year-old girl. Gingival recession related to periodontal disease or developmental problems can result in root sensitivity, root caries, and esthetically unacceptable root exposures. In the past, multiple surgical procedures have been proposed to obtain root coverage on exposed buccal root surfaces. 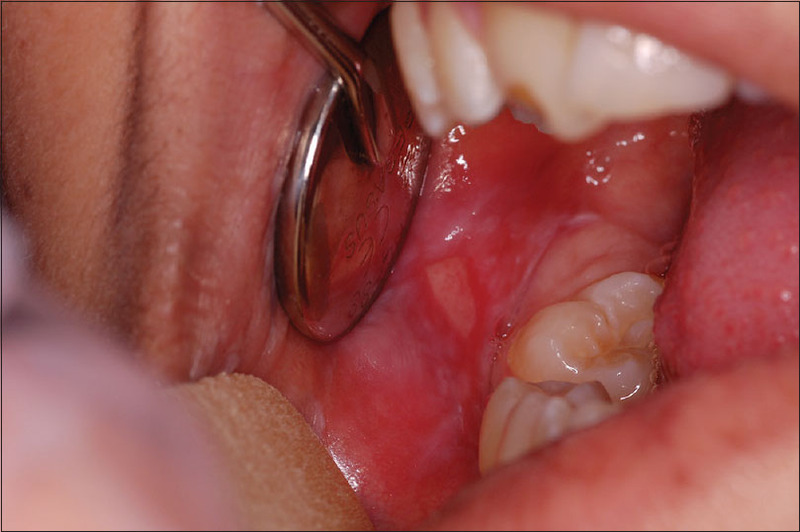 There has been great interest in the treatment of gingival recession defects, especially with subepithelial connective-tissue grafting (SCTG). Recent advances have focused on SCTG by the tunnel technique. 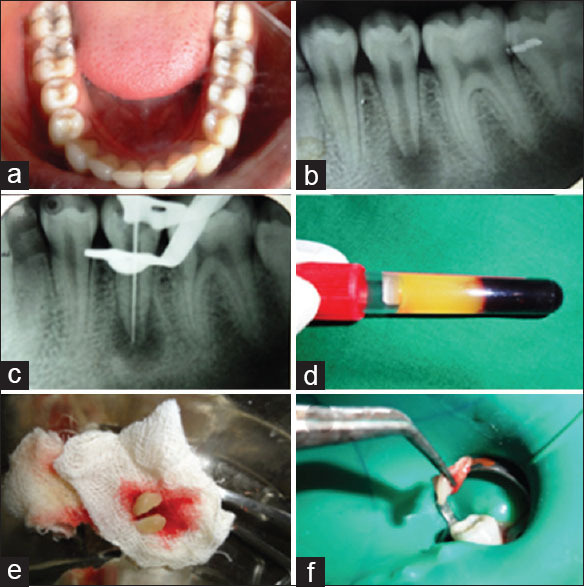 This article highlights the esthetic results obtained by adopting a modification of the tunnel technique using a single vertical incision along with autologous SCTG in the management of multiple adjacent Miller Class-II gingival recessions. A single vertical incision was used along with tunnel preparation for the facile placement of SCTG into the prepared tunnel. After 6 months of follow-up, the clinical condition was stable with satisfactory root coverage outcome. An excellent esthetical outcome was achieved and the patient was satisfied with the result. To keep themselves updated with all the advancements in the field of dentistry, dentists should involve themselves in some kind of professional development. Distance learning is the most appropriate way to serve the growing demand due to technological advancements. Indira Gandhi National Open University in collaboration with Dental Council of India (DCI) developed and launched two continuing professional development programs in Endodontics (postgraduate certificate in endodontics) and postgraduate certificate in oral implantology and has trained over 400 and 280 BDS dentists respectively till date. The program package consists of self-instructional material, assignments, videos and practical training. The training is conducted in premiere dental colleges and institutions recognized by DCI. The certificate is awarded after a term end examination, both in theory and practical. The pass percentages of the theory courses ranged from around 63% to 98%, and 90% of the candidates cleared the practical exam. 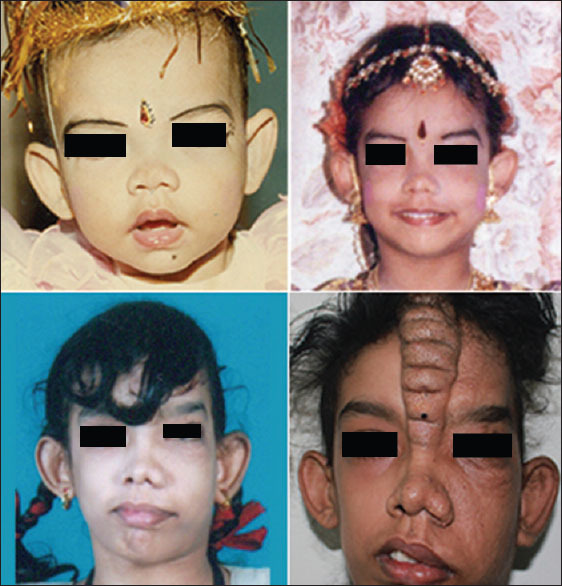 Proteus syndrome is one of the very rare syndromes with occurrence of cerebriform connective tissue nevus. 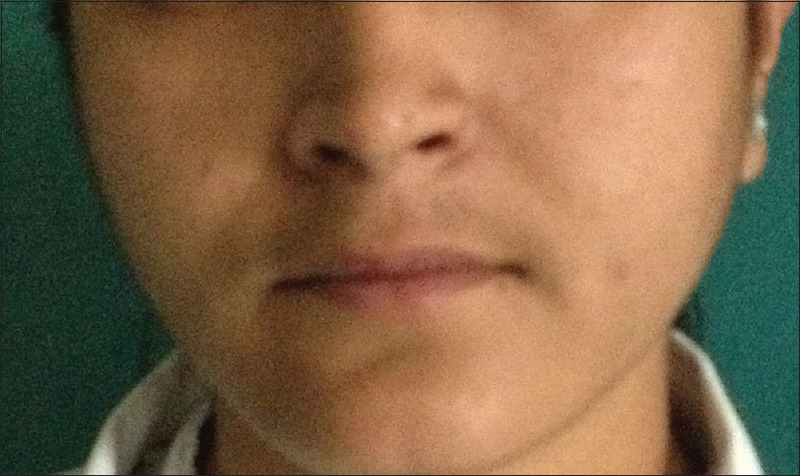 The aim of the present manuscript was to present a case of Proteus syndrome in an unusual facial location, which to the best of our knowledge, is being reported for the first time. The unusual occurrence further strengthens the mosaical basis of its etiopathogenesis. Dentin dysplasia is a rare hereditary disturbance of dentin formation characterized by a defective dentin development with clinically normal-appearing crowns, severe hypermobility of teeth and spontaneous dental abscesses or cysts. 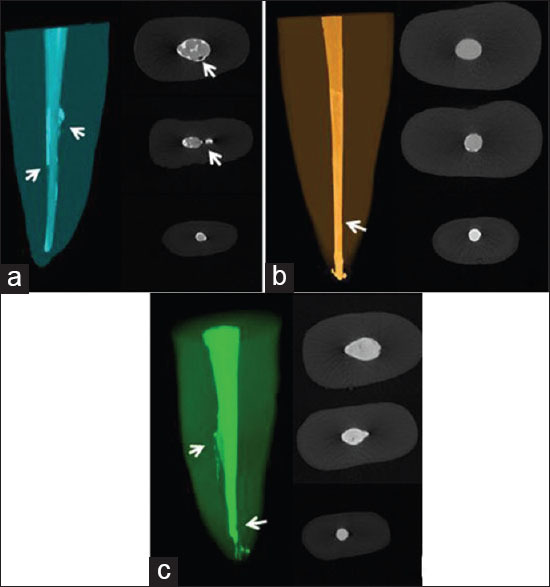 Radiographic analysis shows obliteration of all pulp chambers by pulp stones, short, blunted and malformed or absent roots, peri-apical radiolucencies of noncarious teeth. We present a case of dentin dysplasia type 1d in a 19-year-old boy along with the clinical, radiographic findings of this condition and treatment. There are still many inconclusive issues in the diagnosis and management of patients with dentin dysplasia. The diagnostic features of this rare disturbance will remain incompletely defined until additional cases have been described.